Truly, a legend in the industry, Manuel Quesada of Fonseca, and the original Romeo y Julieta fame, has really been rolling out some fabulous top-quality smokes lately. After his Casa Magna received a well-deserved 93-point rating, Manuel was inspired to continue his quest to offer the finest cigars available. Here is your chance to savor a few of them. This five-cigar collection of old classics and modern blends all have one thing in common- They are delicious! 1 Fonseca Exclusivo Robusto (5.50 x 52). 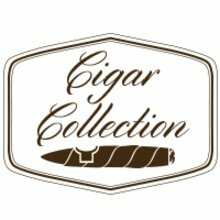 Great cigars for the price. I will be ordering more next time. Wish I could have won them instead. My beat the dealer sampler pack!!! Pretty good Quesada sampler pack. The shipping was fast. I have only had a chance to smoke the Quesada Tributo Julio and i enjoyed it!!!! The price was right for this great sampler. I liked all of the sticks especially the Fonseca's! Great sticks for the price! Well put together. Taste is good. Draw is good. Night try more of these. Resting in the humidor for the perfect afternoon break. Prefect set of cigars for a afternoon break. This is a great sampler. The Fonseca was fantastic as usual, a great mild to medium cigar, never disappoints. The Cubita was good, but not outstanding. The Oktoberfest was fantastic. I have not smoked the other two, however, I know that the Hiesenberg will be great, since I have smoked the 6' by 60 version of it. A great buy. Good taste but uneven burn and a little dry. Taste of cigar was all excellent. They did seem a bit dry when they arrived, and two of them burned up the center and had uneven ash burn. I love quesada cigars, always exceptional especially the Oktoberfest. I found all of these to be awesome smokes. I especially liked the Heisenburg. I would recommend quesada to anyone looking for a good cigar. Heisenberg and 4 other decent sticks win/win! Really you just need to understand one word. That is Heisenberg. The other Quesada products rarely disappoint either. 0 out of 7 found this review helpful.